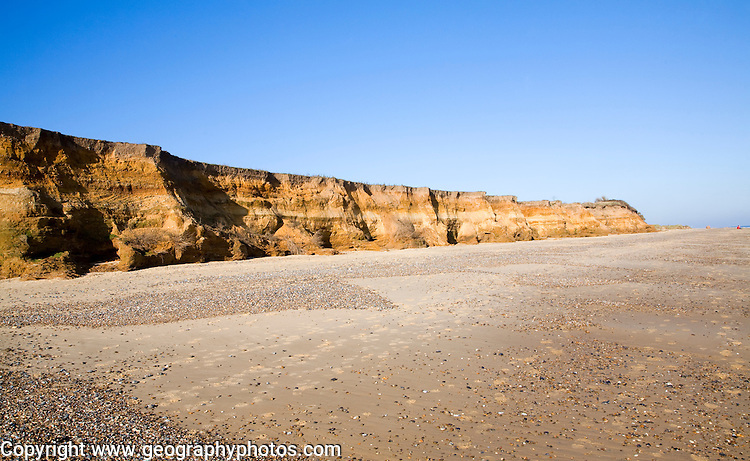 Rapid coastal erosion of soft cliffs between Benacre and Kessingland on the Suffolk coast England. The cliffs were formed by glacial outwash of sands and pebbles which overly older clay strata. This structure of permeable rock over impermeable clay makes the cliff especially prone to slumping and mass movement. © Geography Photos |CONTACT |Stock photos for geography education and pictures for publication.